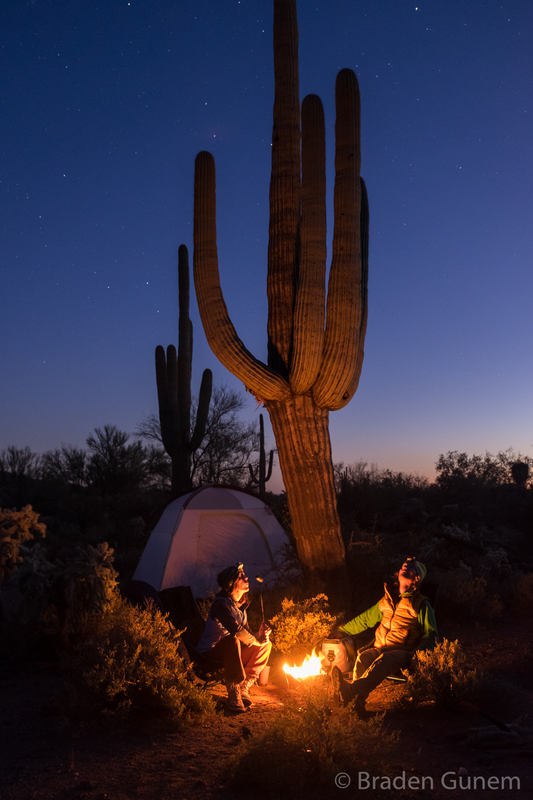 Camping under a Saguaro cactus in Arizona. 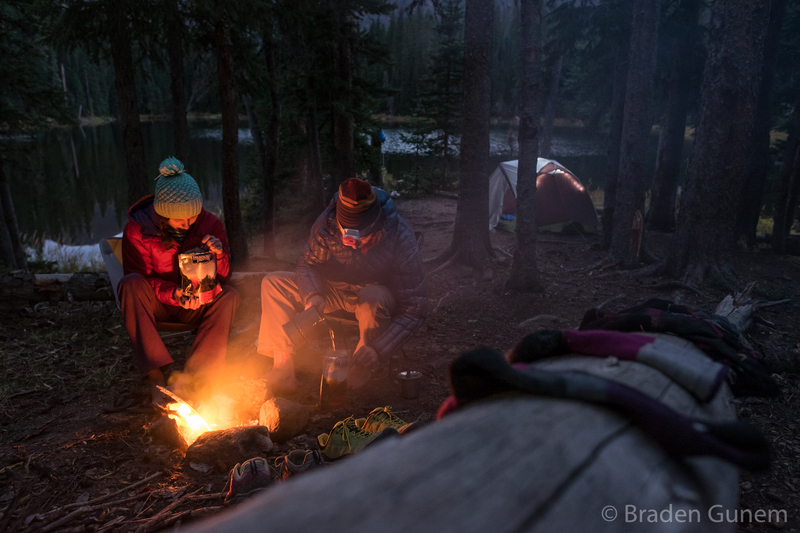 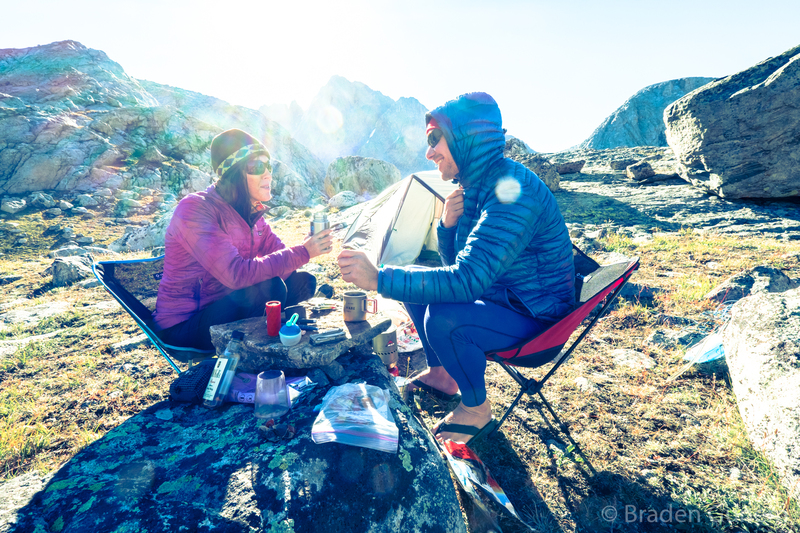 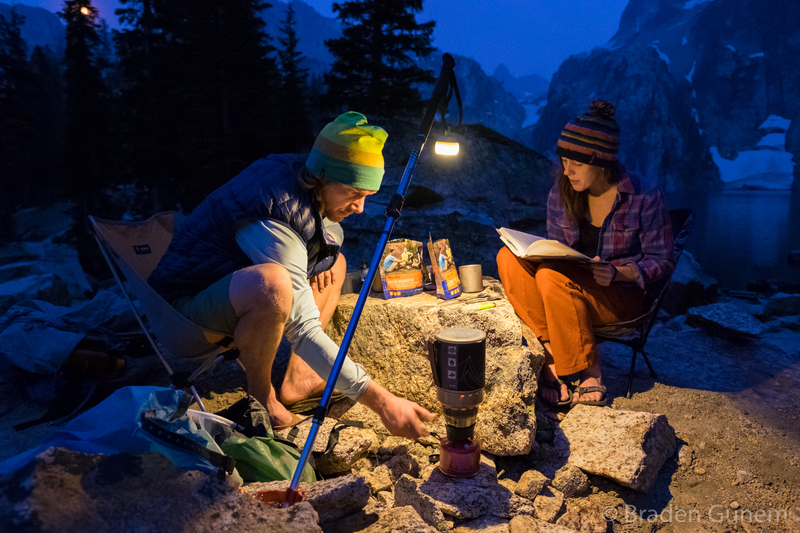 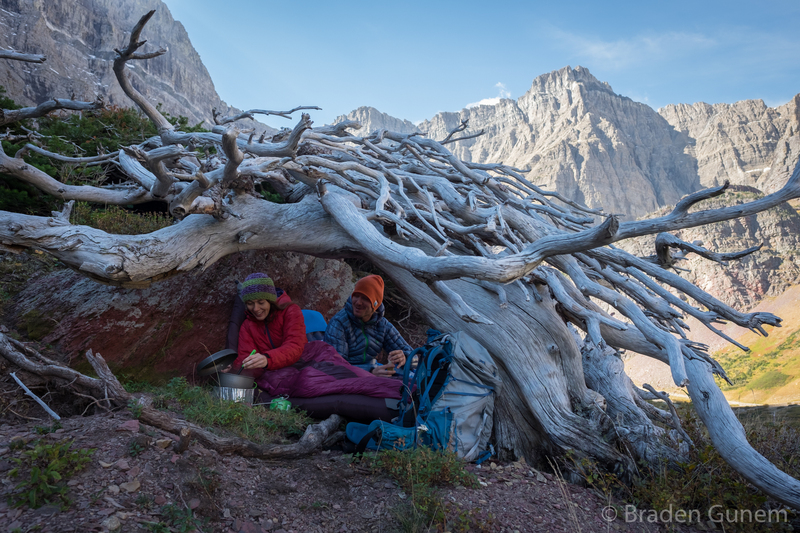 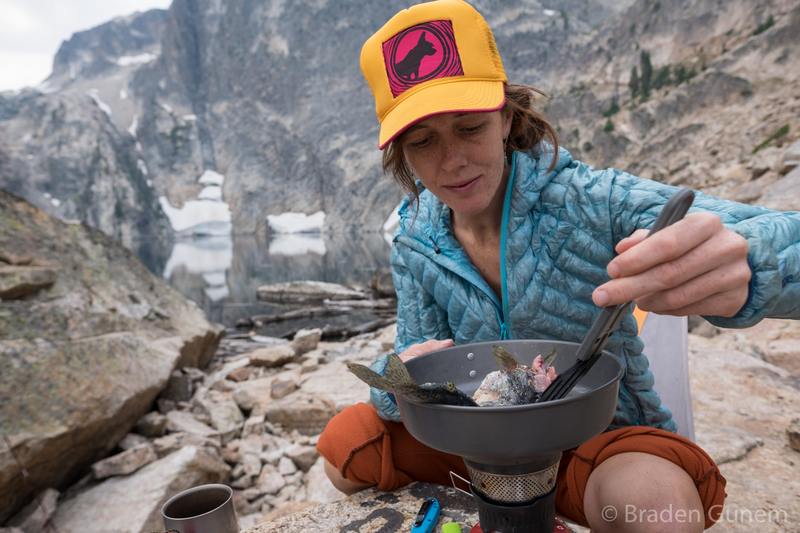 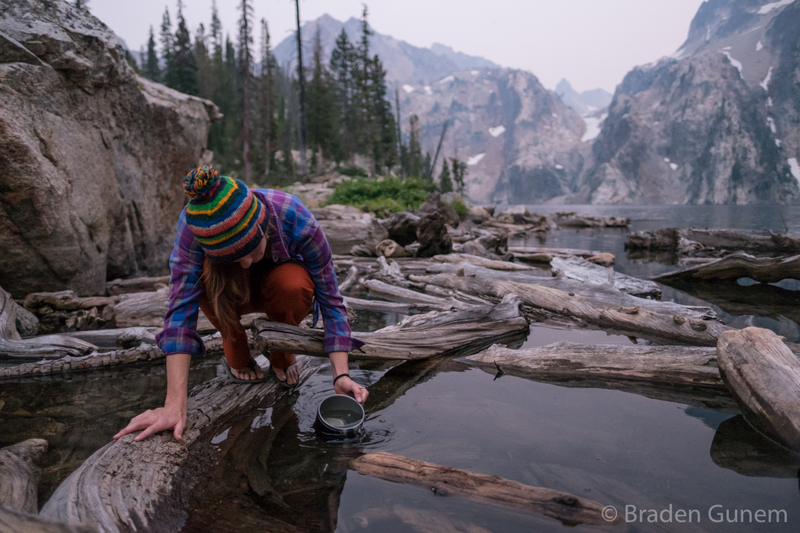 A relaxed evening on Goat lake in the Sawtooth Wilderness, Idaho. 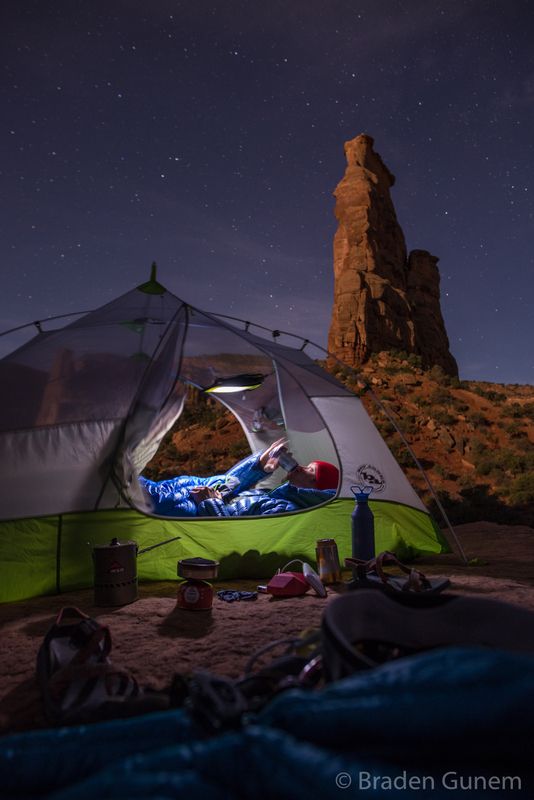 A camp in the Colorado desert. 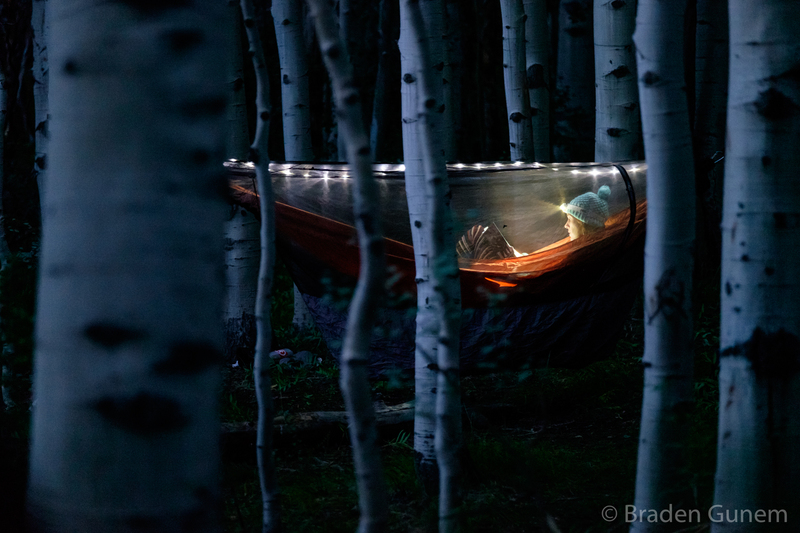 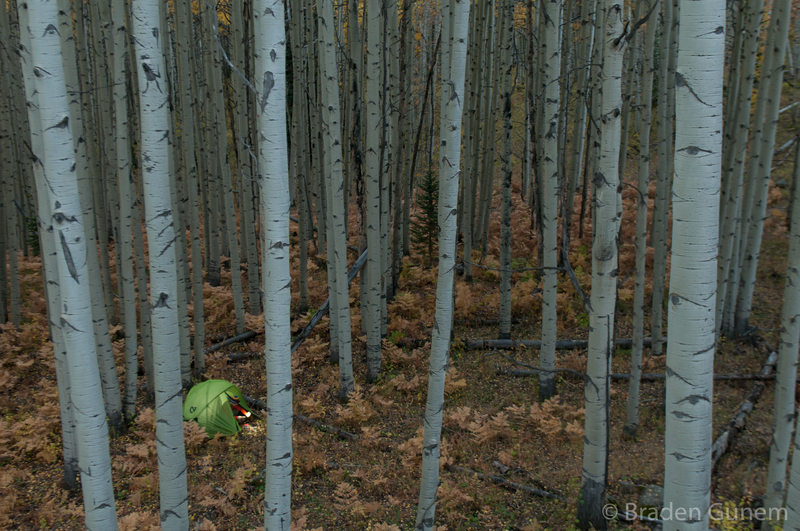 An occupied tent in a Colorado Aspen forest. 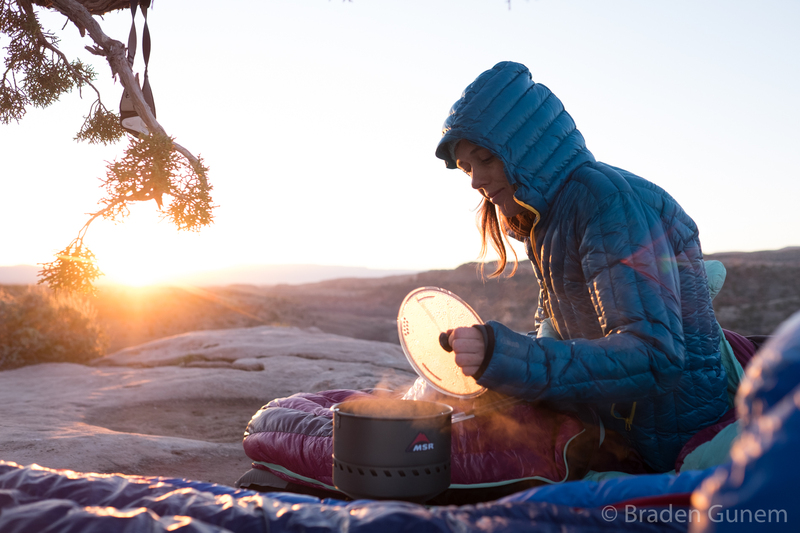 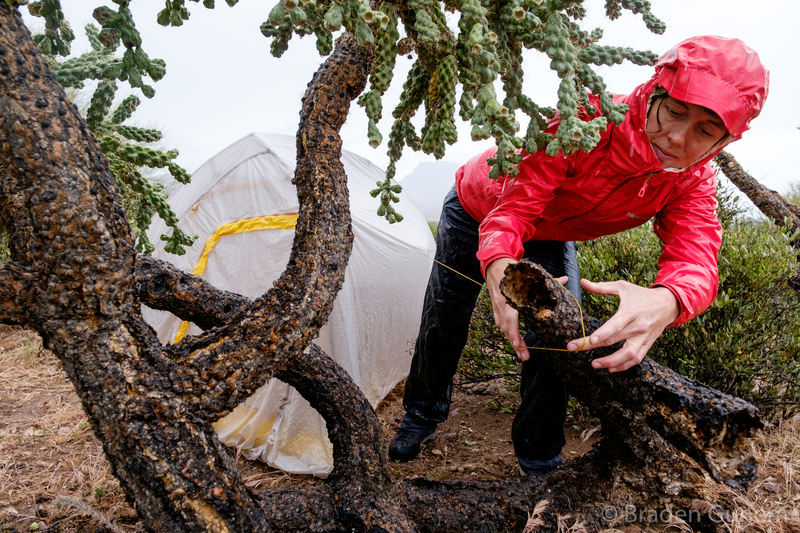 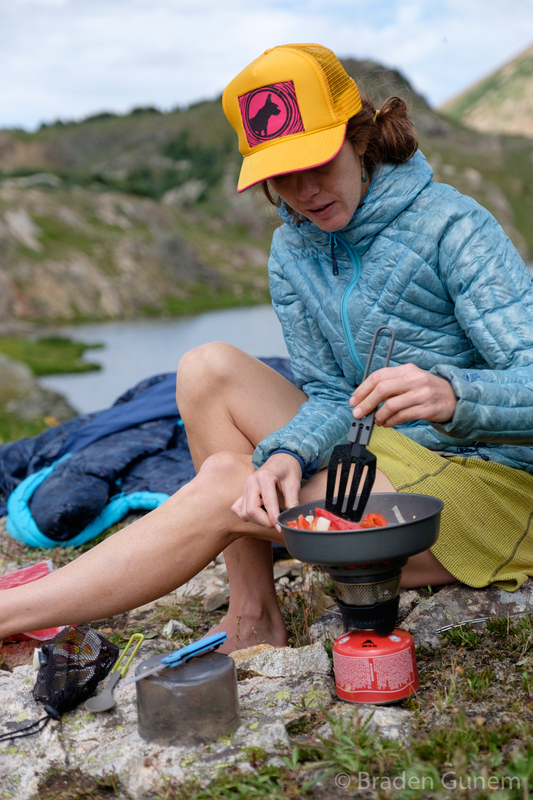 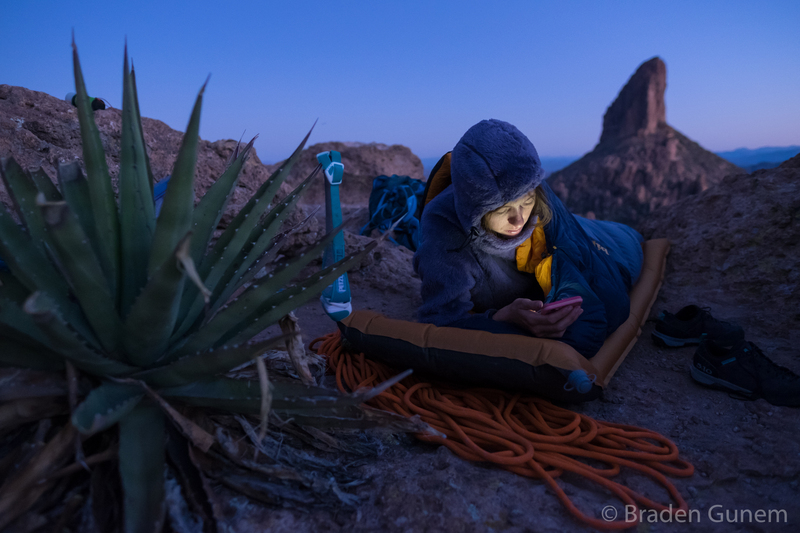 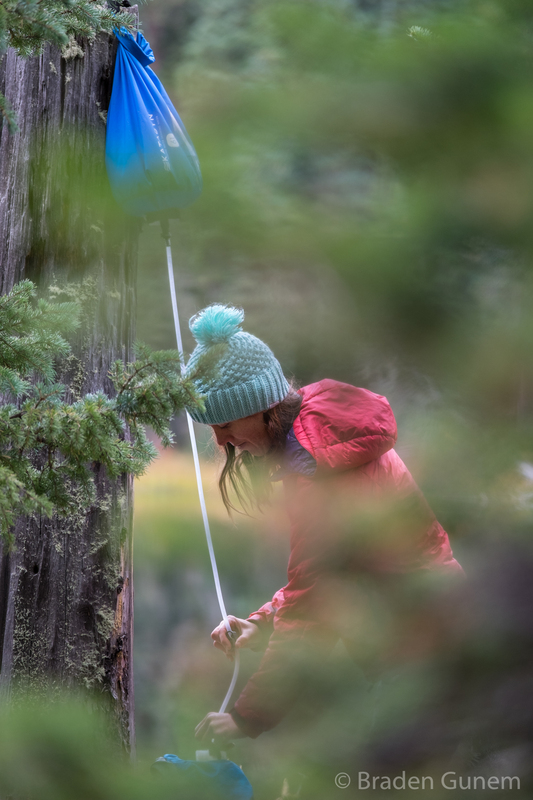 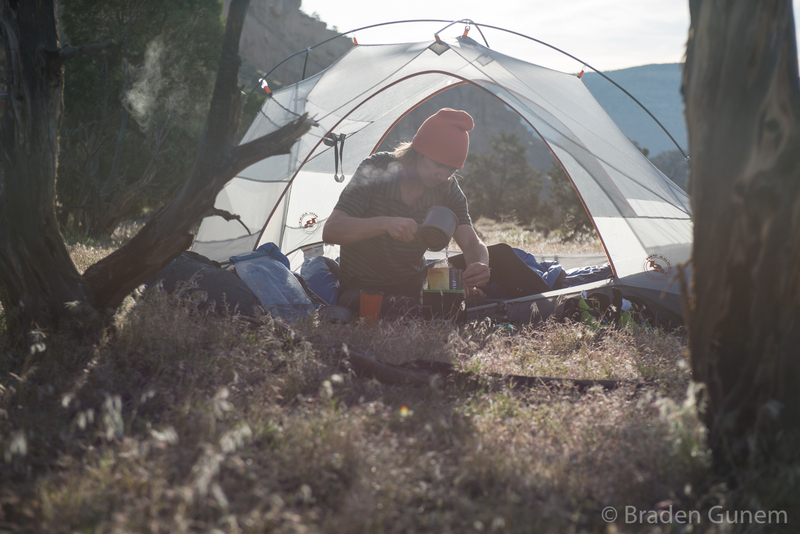 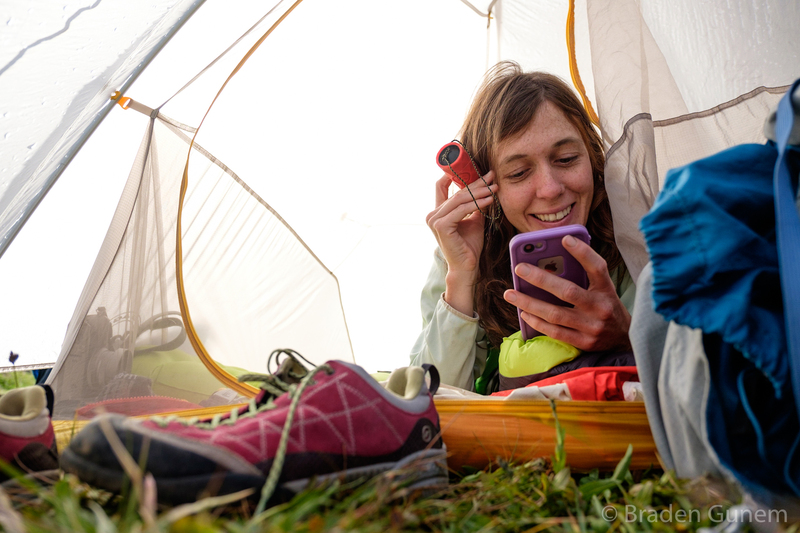 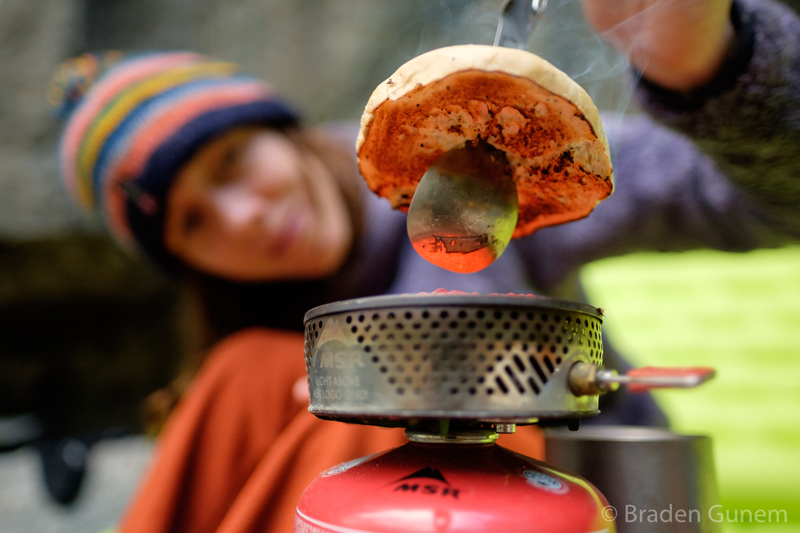 Claire Cripps setting up a tent on a rainy day on the Arizona trail. 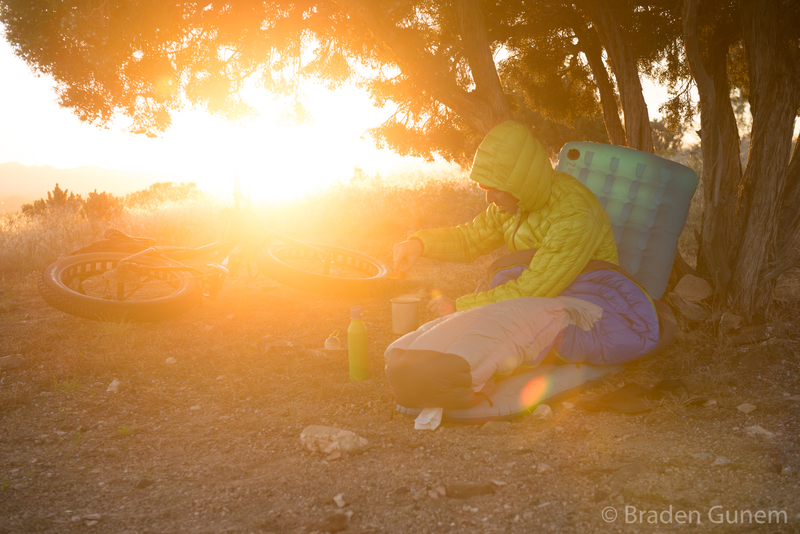 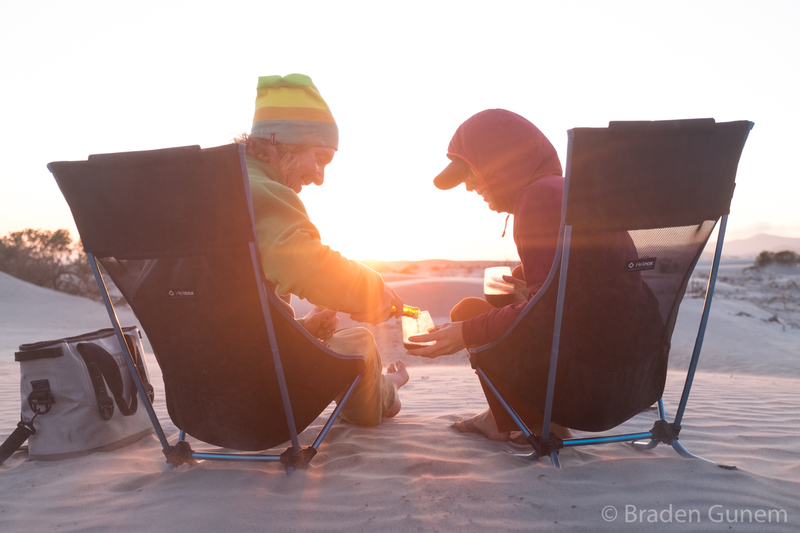 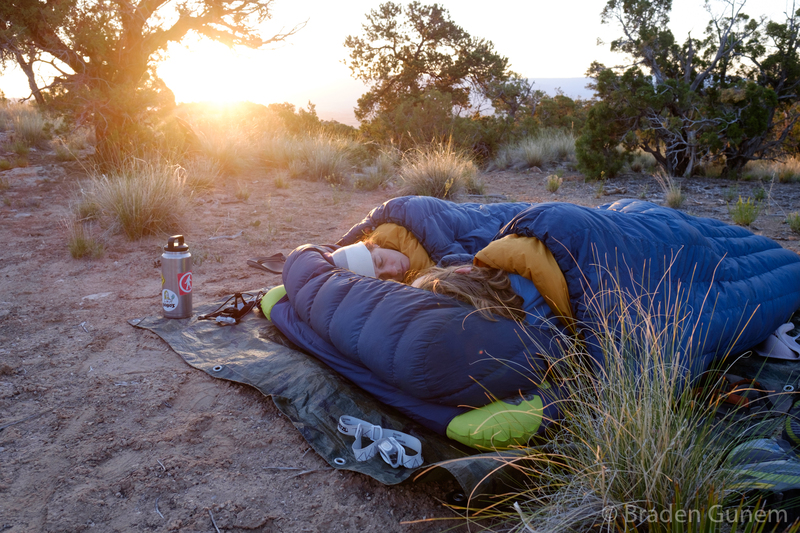 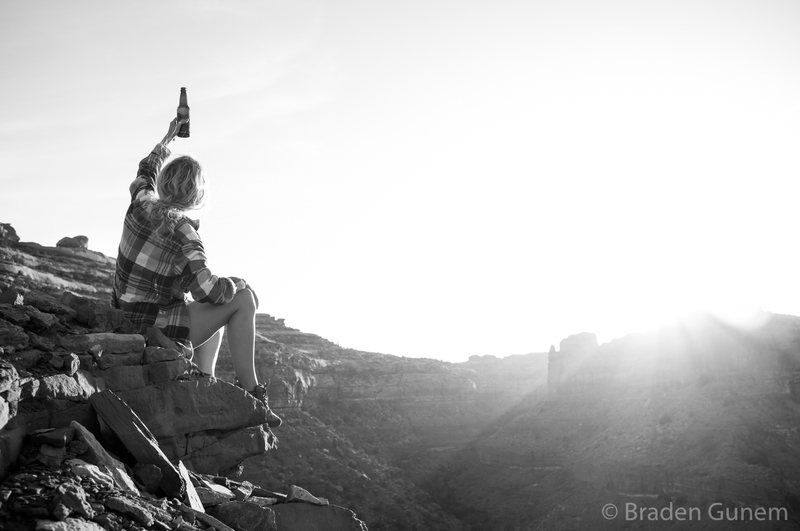 Bike packing in the Colorado desert. 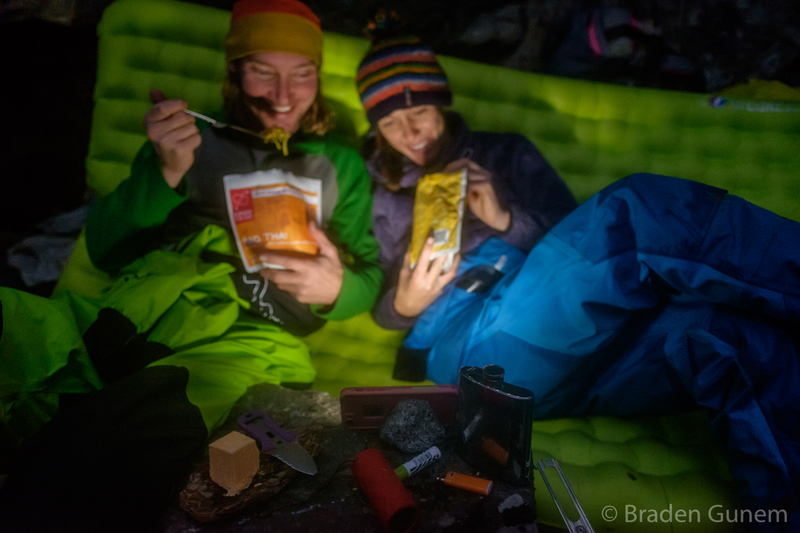 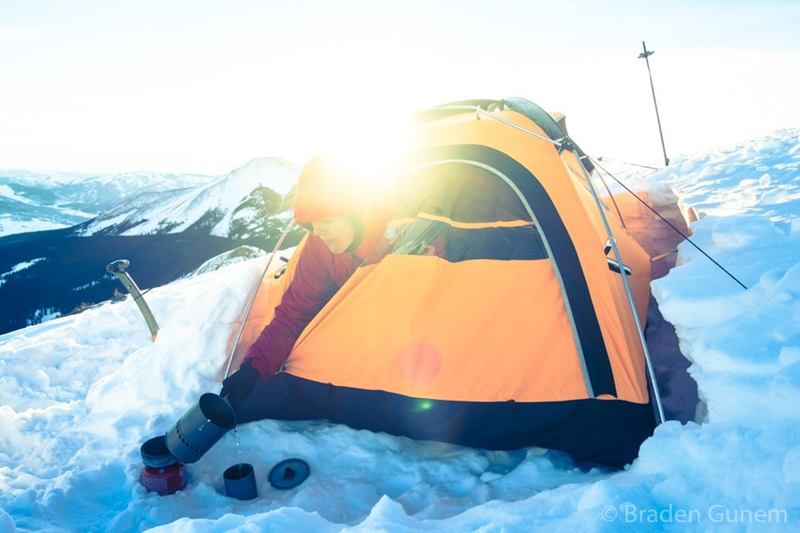 A Big Agnes Shield 2 tent on a snowy mountain. 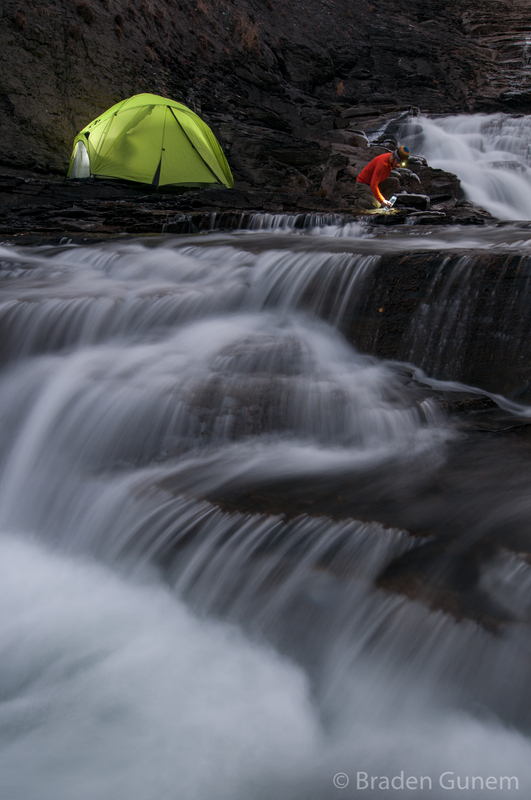 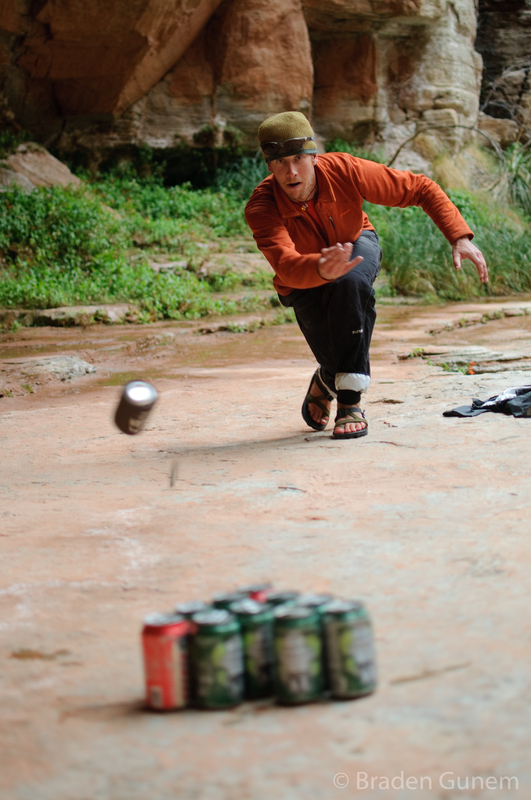 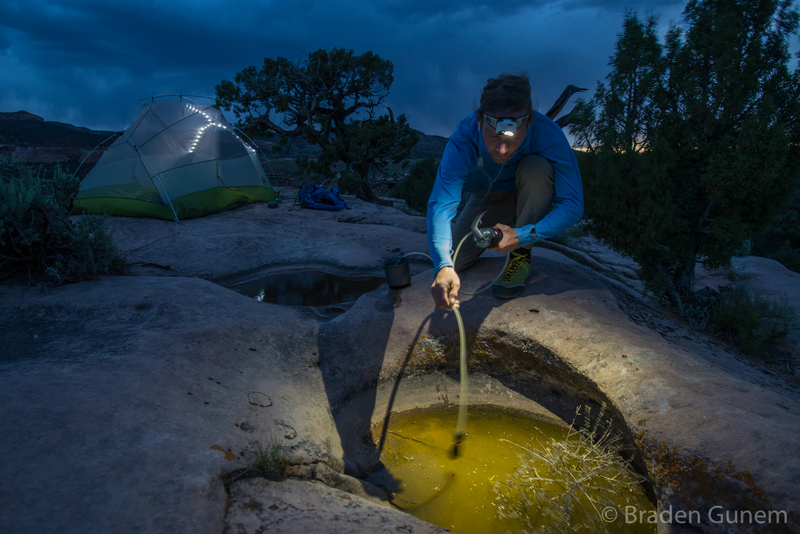 A backpacker collecting water from a stream. 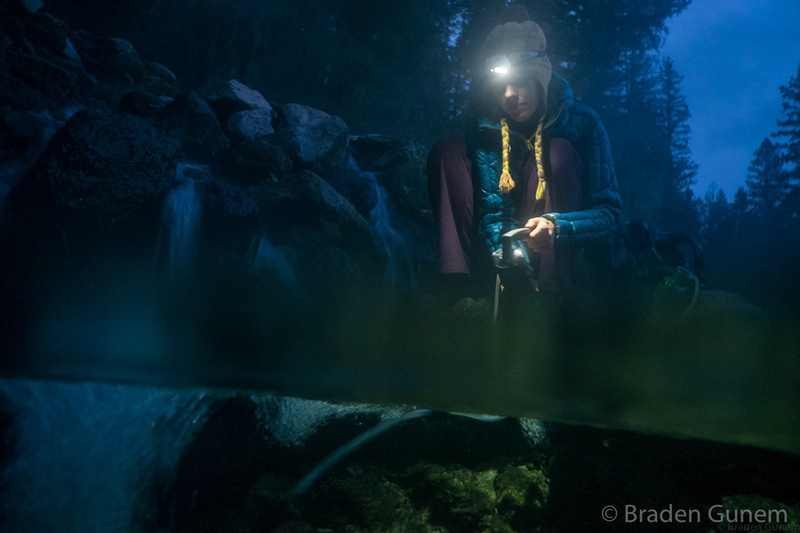 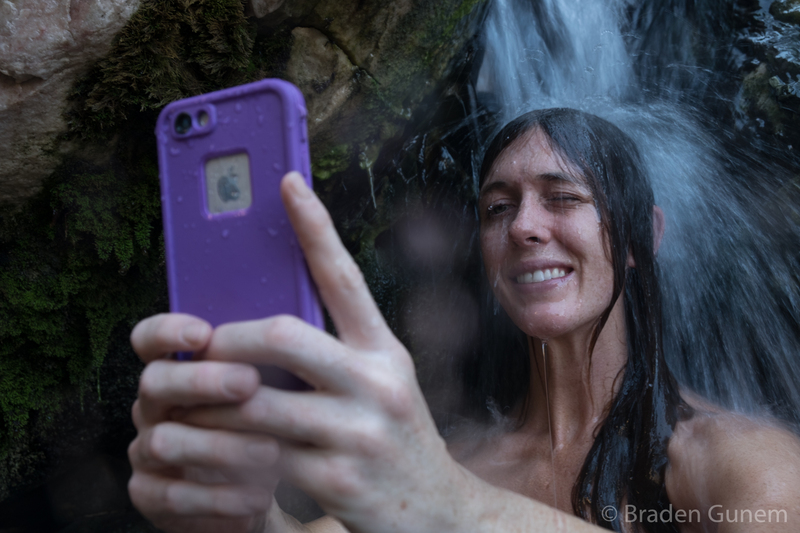 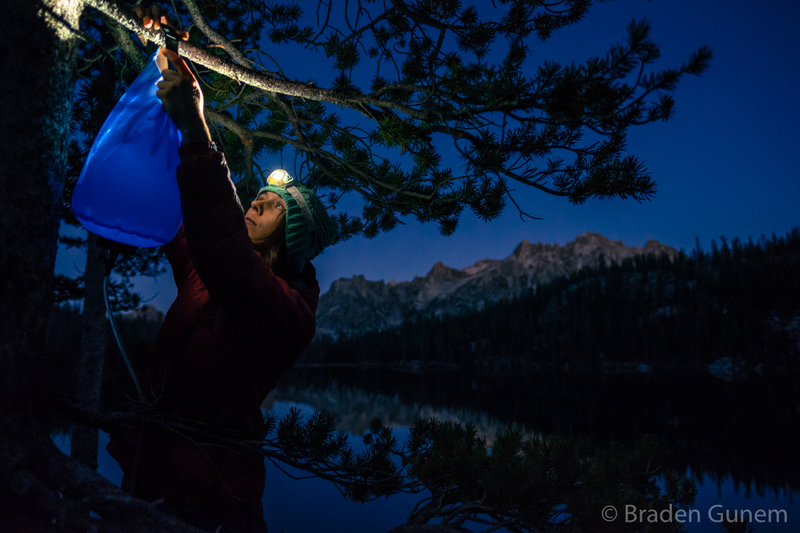 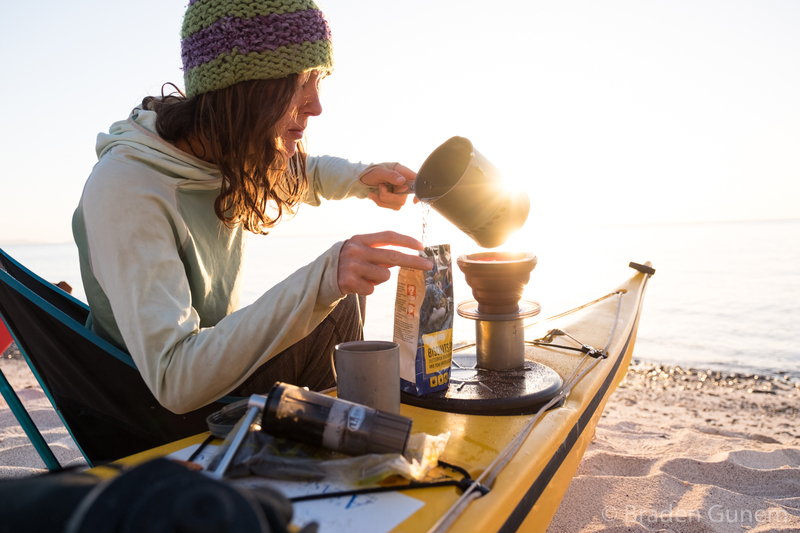 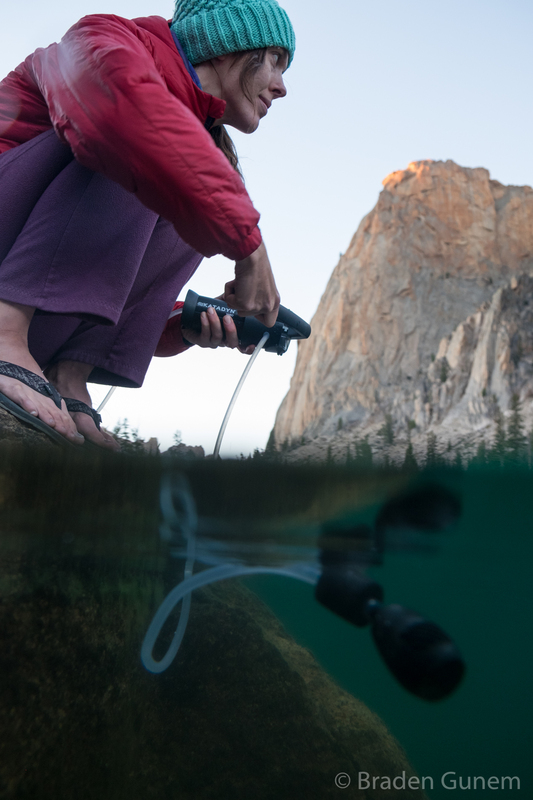 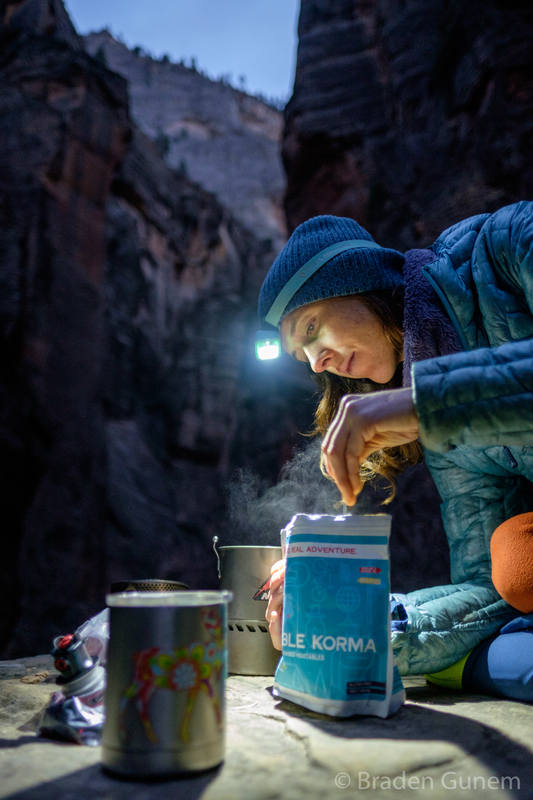 A women filtering water from a stream with a headlamp. 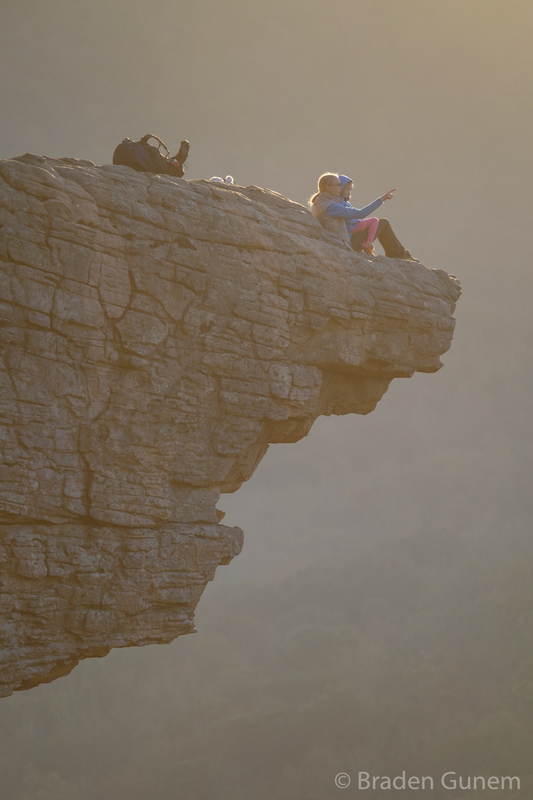 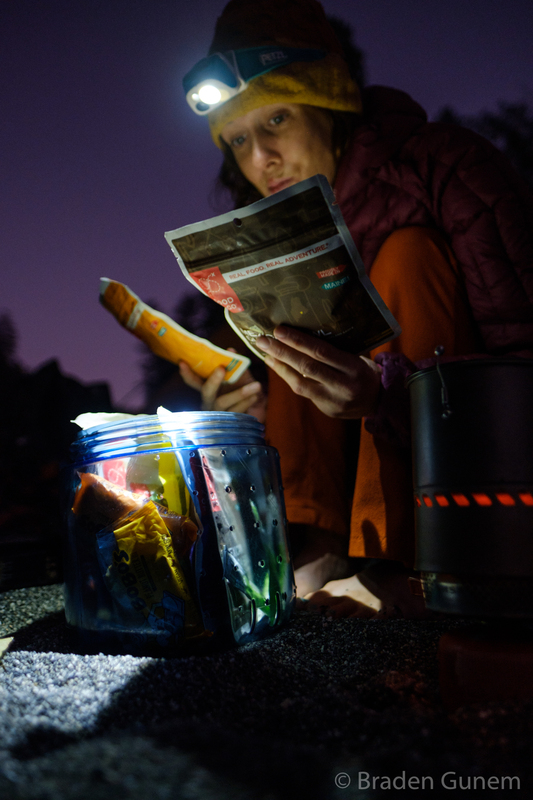 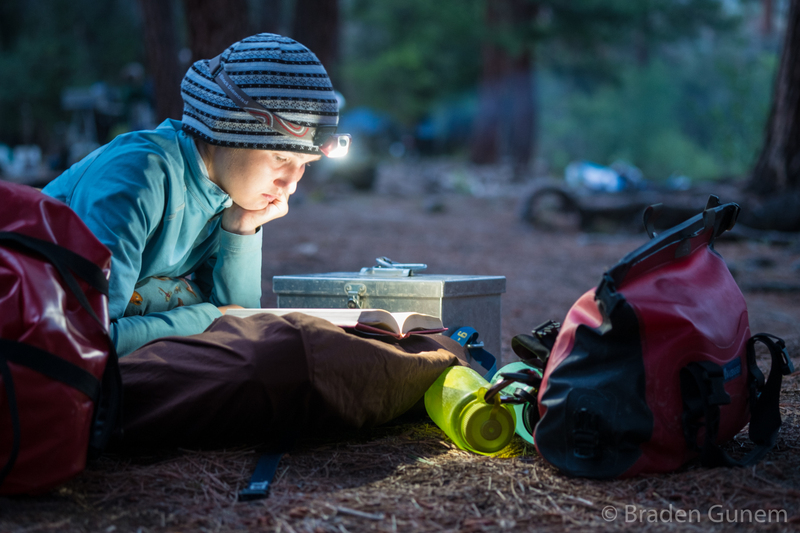 A woman reading by headlamp. 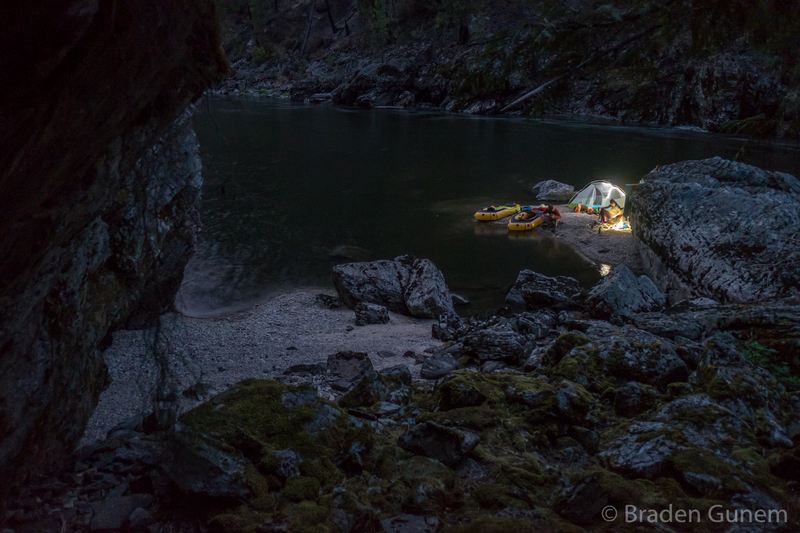 A camp on the Selway River in Idaho. 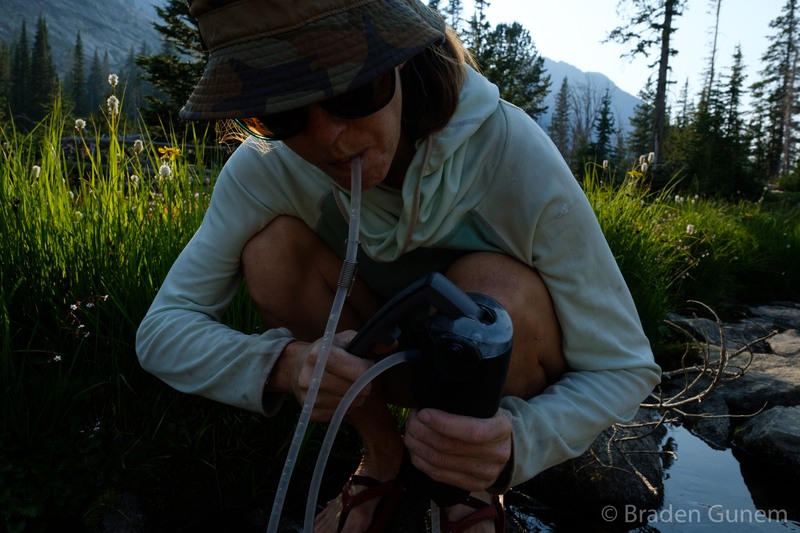 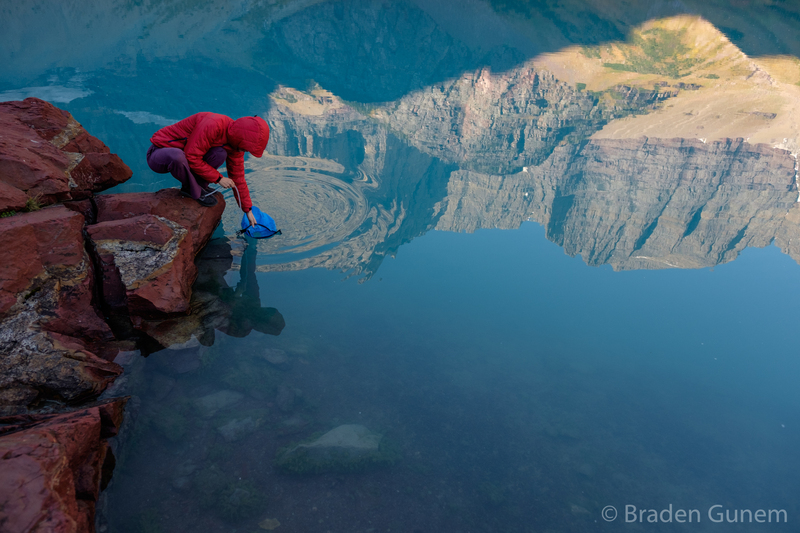 Collecting water at goat lake. 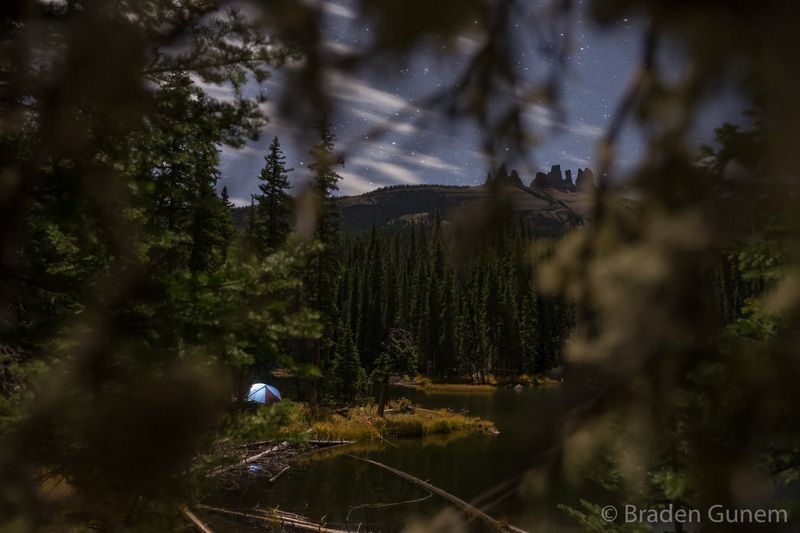 Sawtooth Mountains, Idaho. 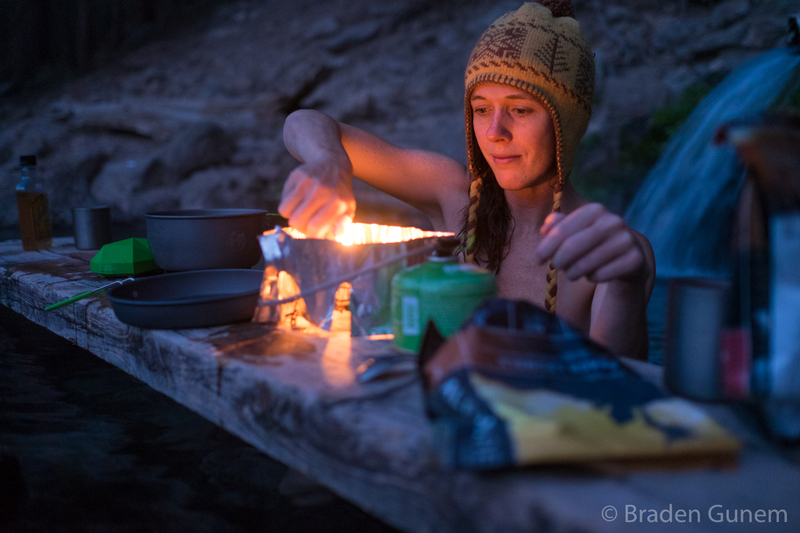 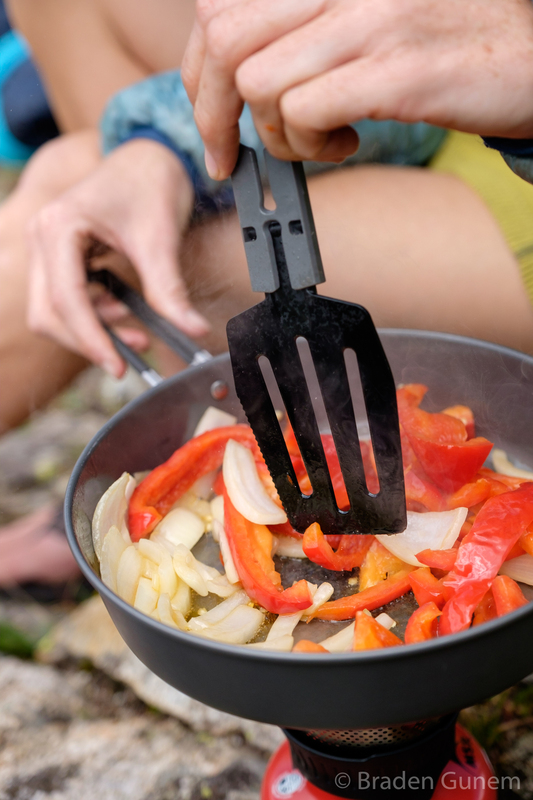 A woman cooking in a Hot Spring, New Mexico. 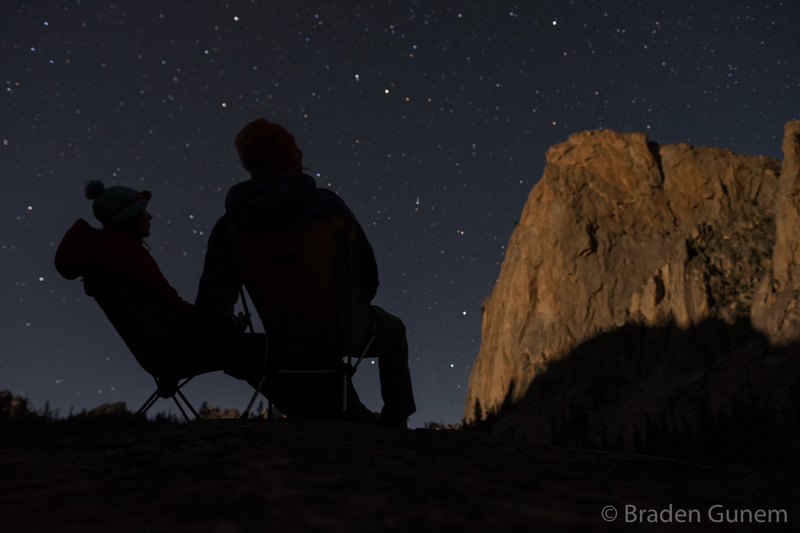 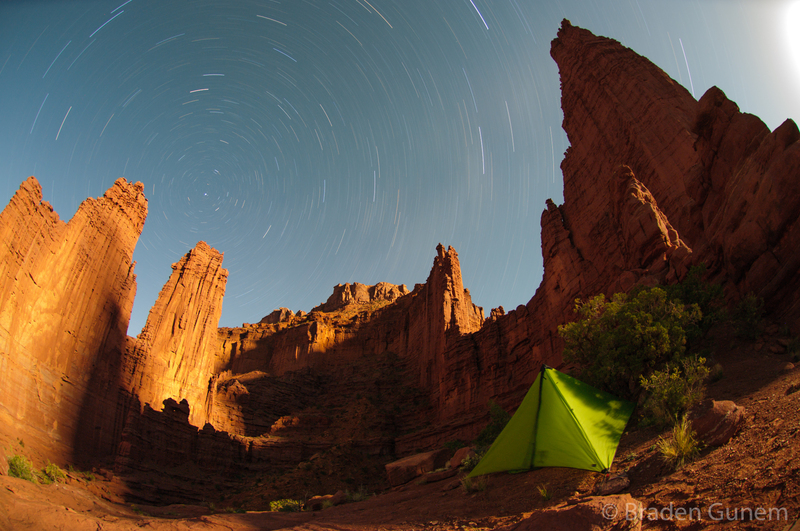 A tent and the Fisher Towers in Utah at night.